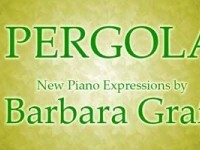 Pianist, composer and songwriter Barbara Graff grew up in the Chicago area, and studied piano at a young age. She was surrounded by an extended musical family. Her brother sang, her mother and aunt played piano, while another aunt was offered a scholarship for opera at Northwestern University. As a child, Barbara won awards for creative writing. As an artist, writing songs with words is the perfect marriage of her two loves, music and writing. She is also athletic and enjoys basketball, bicycling and the outdoors. Barbara is a graduate of Loyola University in Chicago and holds a Masters degree from Northwestern University. Her artistic influences are diverse, from Taylor Swift and Florida Georgia Line to Philip Wesley and Norah Jones. 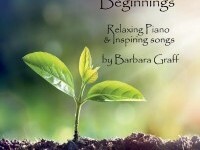 In 2009 Barbara reignited her artistic spark and began composing piano instrumentals. In 2013 she released her first piano album, “Second Act.” In 2014, she began songwriting, starting with the piano-based holiday hit “Christmas Magic,” which won as one of the “best holiday songs of 2015” on Jango Radio. Barbara continues to write piano instrumentals and is also delving into country music. Barbara’s piano music, both with and without lyrics, is featured on several radio stations including Pandora Radio. Many artists have careers that peak at any early age, and then feel their best years are behind them. Barbara’s “Second Act” is a long way from reaching the zenith. Barbara knows life is full of surprises, and the best is yet to come.